"American Promise" centers on the lives of two African-American boys enrolled in a newly diversified, prestigious school in New York City. What is fascinating about this documentary is that the film spans more than 12 years and that the filmmakers are the parents of one of the children, Idris. It looks into the complexities that arise when a child is the minority in one of the most elite schools in the country. Best friends Idris and Seun were both accepted into Dalton School when they were in kindergarten. Both sets of parents had some hesitations about sending them to this school, but felt that Dalton would help their children succeed in life and have experiences with other cultures. At the beginning of the film, you can tell that both Idris and Seun were exceptional students. They participate in class, play well with the other children and have strong academic skills. Fast forward to age 9. Idris and Seun seem to have problems in school. For Idris these problems include physical altercations, impulse control issues and distracting behavior. Seun's problems manifest in a different way. Seun starts to have problems with his schoolwork and organizational skills. Idris and Seun have very different experiences at home. While Idris only has one brother, Seun has three siblings. There is no denying that both family love and are devoted to their children; however, they have different ideas when it comes to helping them with schoolwork. Seun approaches homework as any kid, sitting at the desk or the kitchen table, getting help when needed from his parents. Idris' parents, filmmakers Joe Brewster and Michele Stephenson, believe that the only way to ensure Idris' success at Dalton is to make sure that he is fully focused on his academics. Idris' parents plan every day out for him and make sure that he is always studying. I felt that this was a little too structured for such a young boy; however, it did produce results. Watching the different parenting styles made me wonder if those differences can influence a child's academic outcomes. Many could claim that Seun's mother is too laid back when it comes to her son's academics, while others could say that Idris' mom is too strict. As they grow and continue their years at Dalton, more problems seem to arise revolving around not only Idris and Seun, but also the other African-American males at the school. The school administrators claim that it's always harder for the African-American boys to acclimate to their rigorous course offerings. Yet the parents find it hard to believe that their bright young children, who never had any previous academic problems, would all of a sudden develop issues. The audience could argue various points over the issue, and I think that is what's great about the film. It doesn't only focus on the wrongdoings of the school or whether parents were to blame. This film provokes discussion, which is what every great documentary, or any film for that matter, should promote. The story exposes the presence of stereotypes and racial discrimination and poses a great question: Is the problem the boys, or their skin color? The camera is shaky at times and a bit unfocused, but the authenticity of the film is what drew me in. There was nothing fake about it. These were real people, real emotions and real issues. These issues should not be ignored. They should be explored by people as brave as the makers of the film. This is a must-see film and important for African-Americans to watch, especially those that are in situations like this. 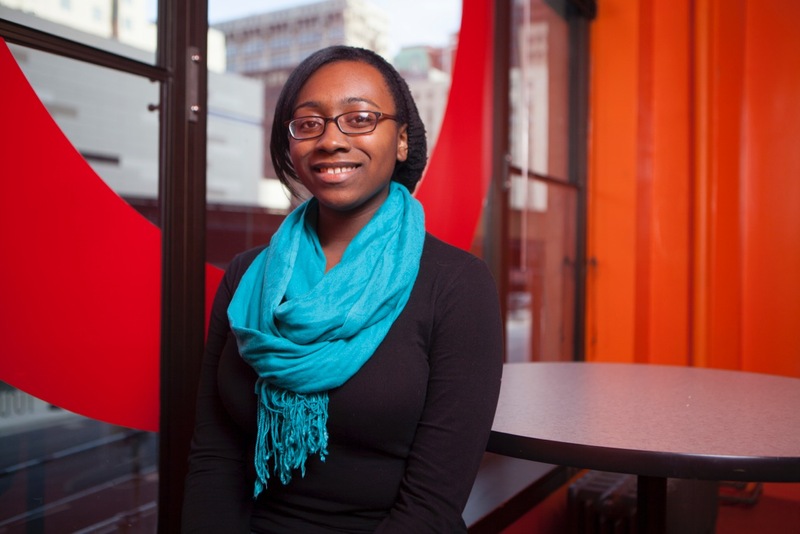 Kaylah Harrington, a junior at Lindblom Math and Science Academy, is a fellow of the Columbia Links high school journalism program at Columbia College Chicago.